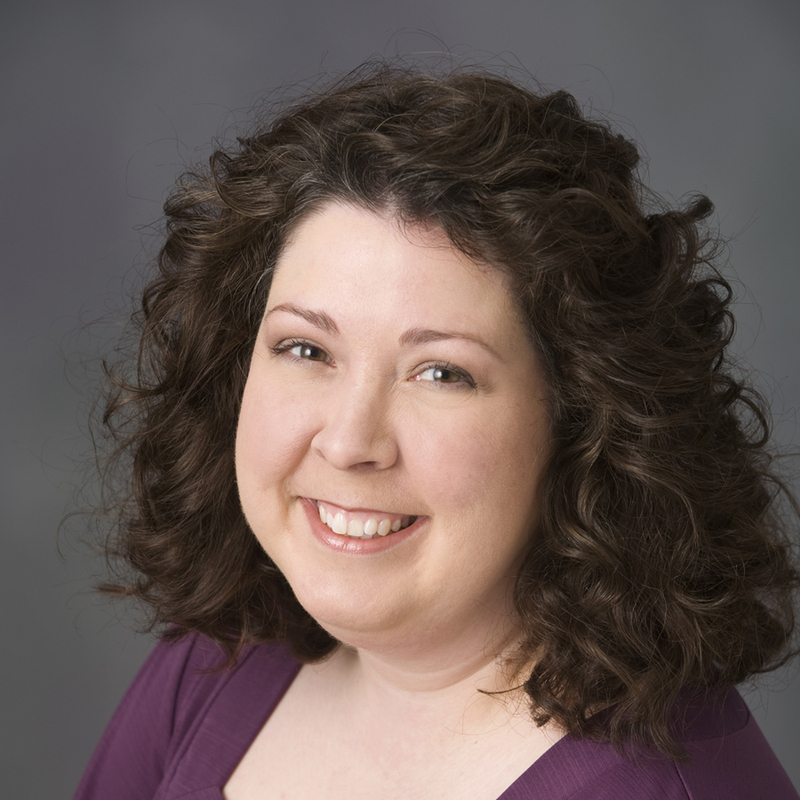 Valentine’s Day: Flowers, cards and candy? Check, check, check. Party ideas? Ummm. If your heart just flat-lined for a moment, allow us to supply some first aid with our fun and kid-friendly Valentine party ideas. We’ve got you covered, from games to be played at home or in the classroom to handmade favors to hand out as guests depart. So let the love-ly games begin. Printable Valentine games are perfect for a classroom party (or add them to Valentine’s Day cards for your puzzle-loving sweethearts). Print as many as you need of any or all the activities: two IHEARTYOU Sudoku puzzles, a Valentine word scramble, two Valentine word searches and, for hard-core puzzlers, three Valentine cryptograms—with quotes to decipher. Don’t forget to print the answer keys for all of the games—we don’t want to break your heart or your brain. Get kids up and moving with some activities to balance out the sugar high from too many Valentine treats. Divide the group into two or three teams. Have all the teams, one child at a time, carry conversation hearts across the room from one bowl to another bowl using a pair of chopsticks (easy) or by sucking them up with a straw (harder). If a child drops his heart along the way, he has to go back to the beginning and start the race over. Make copies of our broken heart printables onto several sheets of card stock and cut out the designs. Then cut designs apart along the lines indicated. Break kids into teams of three or four and have them piece together the puzzle hearts. Whichever team puts their broken heart together fastest wins. Cut out heart shapes from construction paper and write a famous word pair on each heart (such as “peanut butter / jelly” or “salt / pepper”), then cut apart the hearts into two pieces with one word on each piece. Mix up all the pieces, and then hand each child one piece. Then the children have to find their match. Have children build tall towers using conversation hearts. They can race against the clock, and the child with the highest tower (that hasn’t toppled over) when the time is up wins. Kids will want to play this again and again. 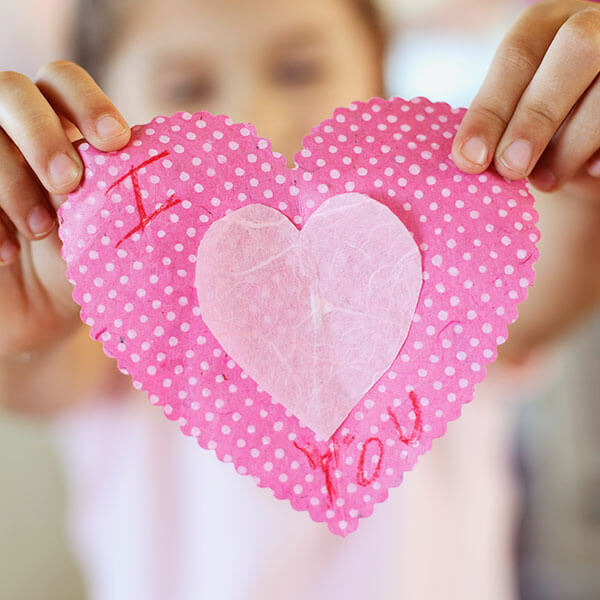 Draw a heart onto a sheet of paper and make copies for every kid in the classroom. Now have all the kids hold the paper behind their backs and try to tear it out along the lines as best they can—but no peeking. Whoever has the paper that looks most like a heart wins. Bring several pairs of mittens and some wrapped candy for this dexterity race. Divide the kids into two or three teams and have each team sit in a row. Add wrapped candies to bowls, enough so each player on the team gets a candy. The first person on each team puts on a pair of mittens, and takes a piece of candy out of the bowl to unwrap. After he’s unwrapped the candy, he then hands the next kid in line the bowl and the mittens. The first team that unwraps the entire bowlful of candy wins. Here are some candy ideas: Hershey’s Kisses, peppermints or cinnamon disks, or fun-size candy bars. Spell out some Valentine words or phrases on blank paper and cut them apart at the syllables or words. Mix them all up, and then give one syllable to each child, facedown, until all the syllables have been passed out. No peeking. Then have them find the rest of their mates to form their Valentine word or phrase. Here are some good phrases to use: con-ver-sa-tion hearts • va-len-tine’s day • doz-en ros-es • bow and ar-rows • A-phro-dit-e • hugs and kiss-es. Make origami paper airplanes (you can call them “love birds” if the kids will let you) and make a heart-shaped target from masking tape on the floor. Have kids aim at the target and let their birds fly to see which one can land closest to the center of the heart. Save time for some fun crafting ideas guaranteed to put a smile on the faces of budding artists. 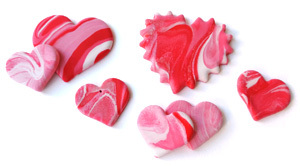 Make marbled hearts using red and white Model Magic™. Using 1 part red to 4 parts white, combine the Model Magic until you’ve made pink. Then pinch a small piece of clay from each color: red, pink and white, and knead the pieces together until the colors begin to swirl (don’t blend too much—you want the colors to stay distinct). When you’ve got a nice marbled effect, form the clay into a flattened heart shape. If you can’t get the heart shape quite right, trim the edges with scissors or a heart-shaped cookie cutter. Now you can decide what you want to do with it: you can attach a magnet to the back and put it on your fridge. Or, use a pencil point to make a small hole near the top of the heart before it dries. Then thread some ribbon through the hole to wear it as a pendant. Craft some edible jewelry using cut-up licorice pieces, Life Savers® and round cereal to string onto long pieces of elastic. For younger kids, be sure to tape one end of the elastic to the table so the candy doesn’t fall off before you tie the elastic together. Older kids can use a needle to string gumdrops and jelly beans onto a piece of strong, knotted thread. This is a fun and easy tweak on traditional thumbprint cookies. Roll sugar cookie dough into 1-inch balls. Press your thumb into the dough twice in a “V” shape to make a heart, then bake as directed. After they’ve baked, fill the heart indentations with raspberry jelly, melted chocolate or pink frosting. Package them up in a cellophane bag tied with a pink or red ribbon. Turn leftover mini candy canes from Christmas into chocolate–covered hearts for Valentine’s Day. Arrange two mini candy canes into a heart shape. Knead a Tootsie Roll until it’s pliable and use bits of it to join the candy canes together at the top and bottom. Then dip the hearts into melted white or dark chocolate (or both!) and let them harden on waxed paper. Slip them into vellum envelopes and send them home with partygoers for a sweet reminder of the day.